Adopted a Rescue Pet? Hale Thanks You! You Save 10%. Hale Gives 10%. Get a Hale Pet Door and Get a Jump on Spring! Hale Pet Door makes cat and dog doors for the perfect place in your home. No matter what size cat or dog you have, Hale Pet Door has the right size dog door for the best place in your home. Start your spring home improvements today with a Hale Pet Door – the pet door that’s sure to make you and your pets happy! Hale Pet Door was honored today with a special award from one of our dealers. 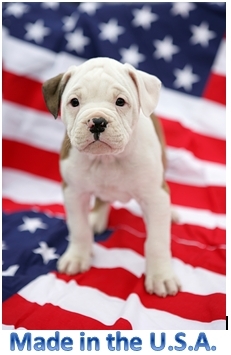 Our special campaign to raise money for military pet rescues for Veteran's Day was a success. For decades Hale Pet Door has manufactured 11 standard sizes of pet doors. Come learn about the newest size addition to our lineup - Tall Small Medium. Hale Pet Door celebrates having 2,000 pet rescues and humane societies participating in our Rescue Rewards program. We're growing and moving. Find out our exciting news. Learn about a special organization dedicated to helping improve the health and welfare of animals around the globe. Find out how Hale Pet Door teamed up with one of our Rescue Rewards partners to help. A very special group helps pets and disabled veterans. Read more about their efforts. Typically older dogs have a lower chance of being adopted because of their age. Learn about what one special group is doing to help them out. Learn about what Hale Pet Door decided to do to help those in need during this holiday season. Learn a little more about our featured rescue rewards partner, Oregon Dog Rescue. Looking for experience and quality in your pet door installation? Valley of the Sun Pet Doors can help. Celebrate with us as we reach 1000 participating rescues. Read about a unique, award winning pet rescue who works to prevent cruelty to dogs. Senior dogs need loving homes too. Learn about how this rescue helps. This special pet rescue organization specifically helps senior cats and dogs. Find out how Hale Pet Door is helping both the people and animal victims of the Waldo Canyon Fire in Colorado Springs and what you can do to help! Mile High Dog Doors is again available for all your pet door needs. Read all about a special rescue just for kitties. Welcome to a new installer in the Denver, Aspen, Vail area. One of our Denver area dealers has changed hands. Read about our newest addition to the Hale family. After taking a month off, our rescue rewards group of the week feature is back. Learn about how big hearts help big dogs. All active and retired military and their families are eligible for a special discount. Learn about a special pet rescue for cats in the heart of North Carolina and the touching story behind its origins. Congratulations to Purrfect Pet Doors on their 10th Anniversary! Join Eddie as he celebrates 10 years of installing dog doors in Las Vegas. Learn about the most overbred dog species in New Mexico and what one rescue group is doing to help. Read about a special group that helps pets of homeless people. Find out how a breast cancer diagnosis turned into a pet rescue that has benefited over 750 dogs. This Chicagoland rescue is helping feral and stray cats have a chance at a better life. Learn about who is building the first "green" no kill shelter in Arizona. We Broke the Record Again! Donations given to our Rescue Rewards Partners tops $30,000 for 2011. Welcome to Doggy Dog World Rescue as our 800th partner! Meet two dogs waiting for their forever homes. Mile High Dog Doors is under new ownership. Hale Pet Door Welcomes Lone Star Dog Doors as our newest dealer in Dallas. Hale Pet Door proudly welcomes a new dealer into the family. Hale Pet Door is proud of our Rescue Rewards program and we want to thank our partners. We are starting a new weekly feature to honor some of them. Find out what types of plants can be dangerous to your pet during this time of year and year round. Find out other ways you can help animals in need. Hale Pet Door proudly supports Pet Rescue. Read how you can help during this special month. Starboard is a better solution. We sadly announce the death of our coworker, Tom Baker. 100 more rescue partners in just four months. Thousands of kittens and cats are living in shelters right now. Adopt one this month. They brighten our lives. Let's be sure we brighten theirs. Hale Pet Door Rescue Rewards Benefits All 50 States! Read about our newest Rescue Rewards Partner and how the program continues to grow. Cat doesn't like to hug?! What can you do to help? Cancer is mostly commonly thought of as a human disease but it affects millions of animals as well. Learn the warning signs and ways you can help. This week is National Animal Disaster Preparedness Day. What can you do to make sure both you and your animals are ready for a disaster? Next week is National Animal Disaster Preparedness Day. Recent weather events in Japan and America have affected animal victims as well. Find out more. Read about what selfless humans are doing to rescue helpless canines. More exciting news from the Rescue Rewards program. Tsunami Devasation Affects Animals Too! Find out how you can help the people and animals suffering in Japan. See what PetFinder is doing to help adoptable pets. Find out how Hale's mascot celebrates Valentine's Day. Show your furry friends you love them during this month of love. A record amount and a record number of rescues. Read on for details. The Rescue Rewards program is booming! Read more about how you can participate. Hale Announces Winner of Rescue Rewards Contest! Find out who won and how we picked the winner. Hale Offices, Stores, and Factory closing for Thanksgiving Holiday! Hale is having a drawing for all our pet rescues. Find out how to participate. Senior Pet Adoptions - Find out five reasons why senior pets may be the best choice for your newest family member. Visit our Pet Rescue Page to see who benefited. Welcome the newest member of our Hale Pet Door team! The National Canine Cancer Foundation is having a Donation and Pet Supplies Drive. Find out how to participate. Plan ahead now to participate in this nationwide adoption event. Bring home a new friend tonight! More donations than ever and a milestone in the number of rescues. Read all about it. Read about our 400th pet rescue participating group. See who the winner was and the winning puppy names. Read about the lastest cute additions to our family and join in a fun contest. You could win an Amazon gift card. Read our newest article to get ready for summer. Can you provide a forever home for a homeless cat this month? Read more about how the Rescue Rewards program continues to blossom. Congratulations to our Glendale, Arizona franchise for their award. Rescue Rewards is one of our most popular and beneficial programs helping people, their pets, and humane societies and rescue organizations across the country. Read more to see how successful it is. Our quarterly newsletter has been posted. Warm weather is coming. Take steps now to prevent this possibly fatal disease. Just in time for spring: Advice from the ASPCA Animal Poison Control Center. Hale Pet Door recently accepted a new Rescue Rewards partner, whose mission is different from that of our other rescue friends. We encourage you to learn more about the National Canine Cancer Foundation. Zachary Tripp joins the Hale team. Read about the volunteer who went to a home show and ended up improving her life and the life of her pets. With greyhound racetracks closing, the sleek long-limbed dogs are now flooding the adoption market. The first U.S. case of the H1N1 influenza in a dog confirmed late in 2009 in New York state. We mourn the passing of our friend Glenn Marshment. HSPD Manufacturing announces schedule change for holiday closing. Check out what's happening at Hale. Holiday Hours announced. Happy Holidays! Hale Pet Door gets a new website with easy online ordering and updated content. Our four monsters absolutely love the freedom your door has given them!